Anyhoo… Be (fore)warned, if you actively avoid stories about abused or neglected children, then you’ll probably want to steer clear of Fourth of July Creek. In my case, I was intrigued by a review of this book in Entertainment Weekly, and decided to check it out despite the depressing premise. The $1.99 price tag was also a big selling point. The novel tells the story of a social worker, Pete Snow, who gets wrapped up in seditious happenings in the outskirts of Montana in the early 1980s. The book read like a modern Western to me, which was what I was hoping for. The beautiful descriptions of the Montana landscape, and the cast of brink-of-the-law characters helped to contribute to that feel. And the author, Smith Henderson, occasionally sidles in a stream-consciousness-through-choppy-waters style that made me think of a more narrative version of Cormac McCarthy. Henderson also employs an interesting style while the narrative follows Pete’s daughter, Rachel. Her story unfolds in as a sort of Q&A that she’s having with herself. “And does (her mother) keep Rachel home now, say for her to cut class and stay home? And do they watch TV all day and go for long drives and was it like they were always just waiting for Rachel to get old enough so they could be friends and tell each other everything? That’s what her mother says. And what is the everything Rachel tells, on the porch in the cooling of the evening? Appropriately unsettling, and there’s something about it that gives off a sort of rebellious teenage rhetorical style (navel-gazing, back-talking). Or is this a rendering of an interview that Rachel’s giving to another social worker, explaining how crappy her parents are? The main character, Pete, is definitely a crappy parent—and a hard protagonist to root for in the traditional sense. He reminded me of George Clooney’s character in The Descendants. I’ve never read that novel, but during the movie adaptation I kept wanting to yell at his character, “Stop galavanting around Hawaii and help your daughters deal with the fact that their mother is brain-dead!” At least Pete’s flaws are obviously and unsympathetically presented, and Pete suffers and learns from his mistakes. 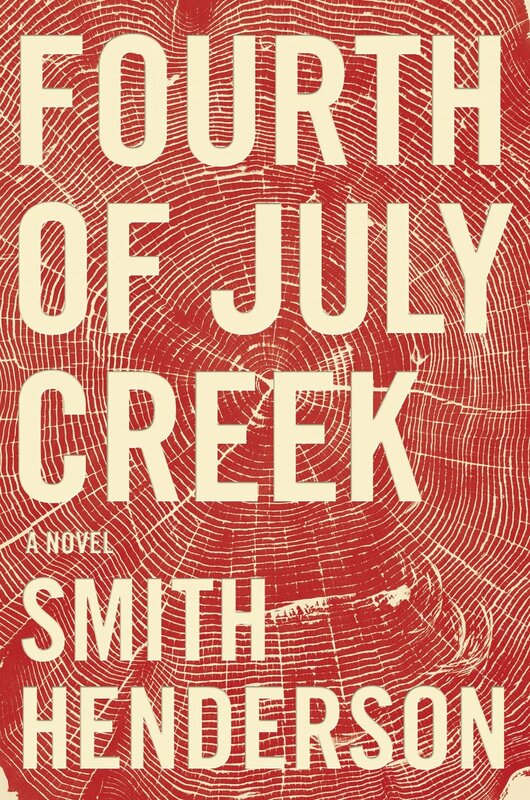 Overall, Fourth of July Creek is a bleak book, but I’m glad I read it. I think it will probably make my Top 5 reads of the year.